Charter a private jet to Sun Valley, a mountain resort city located in Blaine County, Idaho, and home of the annual Sun Valley Conference. Renting a private jet to Sun Valley and landing at Friedman Memorial Airport (SUN) is the most comfortable, secure, and stylish way to get arrive in Sun Valley, and our team offers the highest safety and service standards in executive and leisure travel. ACA offers private jet charter service with access to thousands of private aircraft located around the world. Enjoy free, zero-commitment quotes, competitiveness rates, and the most transparent, consultative jet charter experience in the industry. We also offer access to jet card programs and aircraft acquisitions, and offer private jet management and charter marketing services for aircraft owners. Our company is Wyvern-certified. What does this mean for you? It means you’re working with a jet charter broker who meets the highest levels of safety and due diligence in the industry. There are more than 4,000 companies selling charter flights, and only 75 have earned this accreditation, meeting and/or exceeding the same standards enforced within top corporate flight departments. When arranging Sun Valley jet charters, the aircraft we utilize are operated by FAR Part 135 or 121 (or foreign equivalent) air carriers. We’re not limited by fleet size, able to instantly access thousands of private planes for your flight. We then review third-party audits to ensure every operator, plane, and pilot meets our strict safety standards, and negotiate the best deal possible on your behalf. Our clients have included many VIP/celebrities, executives, and leisure travelers from across the country flying for to their vacation homes in Idaho, as well as individuals flying private to the annual Sun Valley Conference hosted by Allen & Company. Call us at 1-888-987-5387 (JETS) or request a free quote for your upcoming charter flight. ACA is standing by to book your private flight and arrange all of the details for you, including gourmet in-flight catering, luxury ground transportation, helicopter lifts, and any other requests you may have – consider our Sun Valley Jet Charters your one-stop shop for all things private aviation in Sun Valley, Idaho. Clients flying private to Hailey, Ketchum, and Sun Valley can arrive at Friedman Memorial Airport (SUN), a popular private jet hub that serves the region. Aircraft of any size can utilize it’s runway, and Atlantic Aviation provides FBO services for passenger, pilots and planes. Smaller airfields located within 50 miles are in Smiley Creek and Bellvue, allowing clients to arrive/depart closer to their home; heliports are available, but require prior permission. As you make your approach, your private jet will arrive at Friedman Memorial Airport (IATA: SUN, ICAO: KSUN, FAA LID: SUN), a public-use airport located just over a mile southeast of Hailey, the county seat of Blaine County, Idaho. 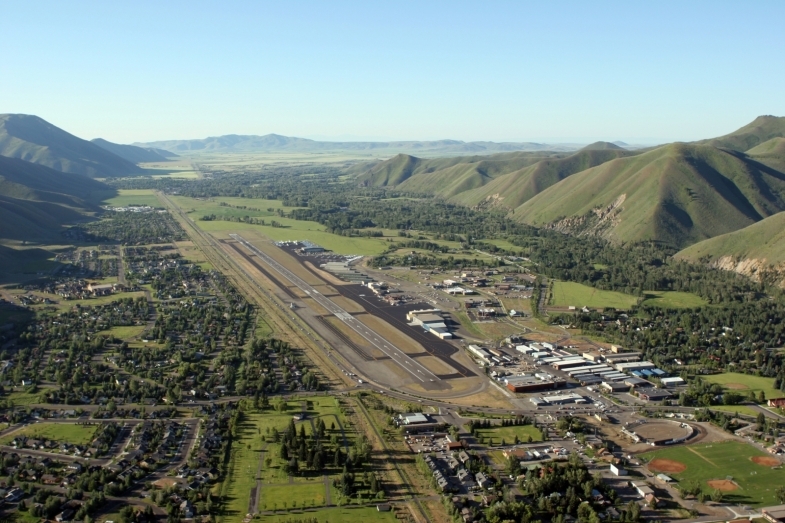 Back in 1931, the Friedman family donated a majority of the airport’s land to the city of Hailey, and a year later it was officially recognized as an airport. Today, (SUN) Friedman Memorial averages 187 aircraft movements per day, with around half of these accounting for general aviation, and around one-third being air taxi service to/from the area. More flights are scheduled during ski season than during any other time of year. Friedman Memorial Airport offers a single asphalt runway measuring 7,550 feet to accommodate private aircraft of any size, and Atlantic Aviation offers FBO service for private flyers. Sun Valley, the mountain resort city located in Blaine County, is generally used to describe the region surrounding the city, including the neighboring cities of Ketchum and the Wood River Valley area, winding all the way south to include Hailey and Bellevue. The city shares the same story as many mountain communities in Idaho, beginning as a hardened mining town. By the 20th century, mining was on the decline in southern Idaho, and cities would become ghost towns; Blaine County, however, managed to stick around mostly thanks to its livestock industry. By the 1940s, tourism has arrived in Blaine County with the opening of the Sun Valley Resort, attracting the rich and famous from across the country to this slice of glamorous wilderness. Ernest Hemingway was a famous early resident, spending his final days in the area and was eventually buried in the neighboring city of Ketchum. Today, many celebrities and wealthy business people own first homes in Blaine County – if you’re a part-time resident and want to take advantage of an empty leg charter flight, let one of our Air Charter Advisors know! We can review all of the empty legs based in the area or that are transient through (KSUN) Friedman Memorial, as well as potential one-way routing to offer the best jet charter rates for our clients. 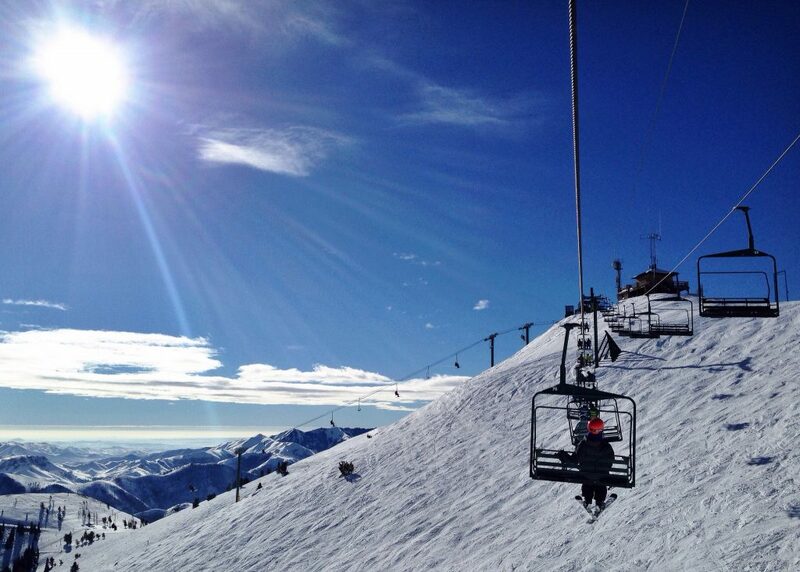 Sun Valley is synonymous with destination skiing, and the area offers two incredible mountains for skiers and snowboarders. Life in the valley revolves around its tourism industry, with skiing taking center stage during the winter, and outdoor activities throughout the Sawtooth National Recreation Area over the summer. The area has a reputation for being openly liberal in a largely conservative state, and while vegan and organic lifestyles may be openly mocked a few miles down the road, you can feel free to indulge in them here. Bald Mountain has earned its reputation as one of the world’s finest ski mountains, with 13 chairlifts and more than 60 runs. Dollar Mountain is a great place for beginners to introduce themselves to downhill sports. Nordic skiing is also popular for those interested in some of the best cross country skiing in the United States. Golfers can choose between a round at Trail Creek, a 6,968 yard championship course designed by Robert Trent Jones Jr., or the Alpine-links style White Cloud course, a scenic nine-hole course offering amazing views of Wood River Valley. Idaho is known as the Whitewater State, and you can experience the thrill of the rapids through a number of river rafting companies in the area. The state of Idaho is also a major destination for fly-fishing, and there are several walk and wade options nearby, including the Big Wood, Big Lost, Little Wood, Copper Basin, Silver Creek and the headwaters of the Salmon. There are a couple of important cultural events hosted here as well – the Sun Valley Writers Conference (https://svwc.com/), a once-a-year gathering in June/July, is where readers and writers come together in the genres of fiction, non-fiction, journalism, poetry and film-making. There’s also the Sun Valley Film Festival (https://sunvalleyfilmfestival.org/), held in the middle of March, featuring workshops and discussions with filmmakers, live read tables with screenwriters, and the SVFF Lifetime Vision Award, given last year to director Oliver Stone. The roster of hotels and accommodations here cover the full spectrum of visitors to this leisure and recreational area. Whether you’re a hard-core adventurer, a Wall Street executive, A-list celebrity, professional athlete or a family enjoying the great outdoors, the area has the perfect hotel or resort for everyone; enjoy the pampered elegance and world-class service of a nearby luxury resort, or find a place to just store your gear and grab some zZz’s between adventures. 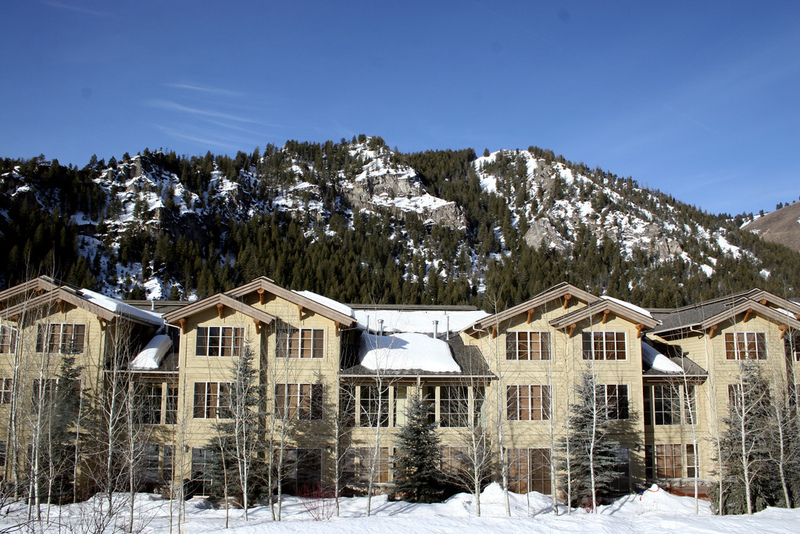 Choose between fully-loaded ski resorts with direct access to the slopes, or opt to stay in a private ranch out in the secluded Idaho countryside. There’s also a handful of luxury residences and vacation rentals for extended stays. 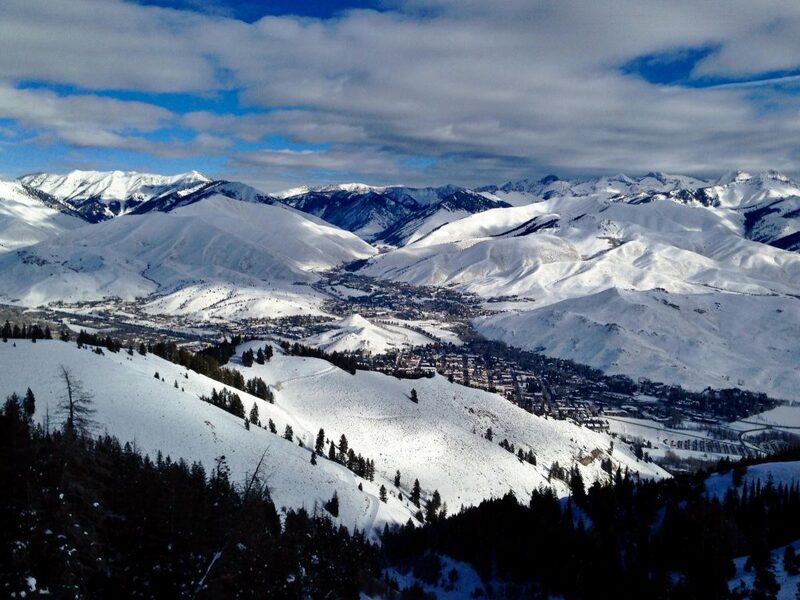 Check out our list of the top hotels and resorts in Sun Valley, including the neighboring cities of Hailey, Ketchum, Mackay and Stanley. After you decide on your itinerary, ACA can arrange for luxury ground transportation to bring you to the hotel or resort of your choice directly from the tarmac. Hosted by Allen & Company, the Sun Valley Conference is an annual gathering of business executives, tech moguls and other big name industry leaders. Many of the event’s attendees bring their families, creating a billionaire’s summer camp environment where deals are made and relationships are formed. Already have an invitation to this prestigious conference? Now is the time to start thinking about how you’re going to get there – and that’s where our team at ACA comes in. Many of the conference goers will be chartering a private flight to Sun Valley’s Friedman Memorial Airport (KSUN). Avoid the hassles and inconvenience of commercial travel and arrive in style aboard a luxurious private jet. Sun Valley is a popular area for private and business aviation, and Air Charter Advisors is your best source for jet charter service on the following aircraft. All of the planes we arrange are operated by FAR Part 135 or 121 (or foreign equivalent) air carriers, flown only by experienced pilots, and we can arrange Wyvern Wingman/ARGUS Platinum planes/pilots when necessary. After requesting a charter quote and providing us your trip details, our team will provide you with a variety of options based on the goals and budget of your flight. Some of the most popular aircraft for Sun Valley air charters include light jets (Phenom 300, Eclipse 500, Hawker 400); midsize and super midsize jets (Citation X, G280, Falcon 50, Hawker 800XP); and large jets (Gulfstream G4, Challenger 604, Falcon 2000 LXS). Select long range jets can even operate out of Sun Valley’s airport, including The Gulfstream GV, G550 and G650, and the Falcon 5x, 7x, and 8x. Call one of our advisors to review all of the aircraft options for your Sun Valley charter flight. Request a Quote or give us a call at 1-888-987-5387 to speak with our Private Jet Charter Sun Valley brokers and arrange your upcoming private flight to Friedman Memorial Airport (SUN). We understand that your time, privacy, flight preferences and most of all, safety, are all extremely important. That’s why we provide a one-on-one, consultative service experience that exceeds every expectation. Our brokers are available 24 hours a day, 7 days a week. Fly private with Air Charter Advisors and enjoy quick response times and an easy, hassle-free booking process.